The first release in a limited edition Travel Retail Exclusive series, The Macallan Concept Number 1 celebrates the world’s visionaries. 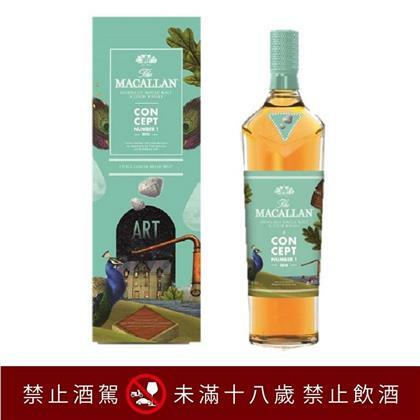 Inspired by surreal art, Concept Number 1 challenges the traditional boundaries of whisky making with its innovative maturation process by maturing first in sherry-seasoned oak casks and subsequently for an equal amount of time in ex-bourbon casks. With hints of dried fruit and citrus, this naturally golden amber whisky spirit delivers sweet butterscotch tinged with warming spices on the nose. The sale of Duty Free alcohol items is based on the local regulation of Tobacco & Alcohol Control and related rules. EVA AIR reserves the right not to sell alcohol to passengers under eighteen.